Taylar Mata was born in Las Vegas, Nevada where her parents were stationed with the U.S. Air Force. Being apart of a military family, Taylar was able to visit and live in many different places, from right here in DFW to across the pond in Grafenwhoehr, Germany. 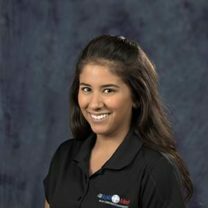 Taylar did her undergrad at the University of Missouri and has a Bachelor of Science in Athletic Training. Taylar has been a caretaker for most of her life for her mother who has multiple sclerosis. She is very passionate in providing the most patient-centered care and is eager to serve her community as the concussion specialist for Rapid Med. In her free time, Taylar enjoys spending time with her family, exploring and hiking trails, and trying any and every new restaurant.